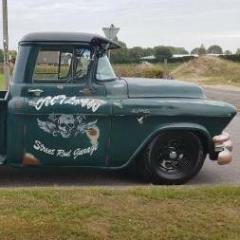 I live in Germany and last year I bought a 1955 GMC 100 with a Pontiac 287 V8 Engine with a single barrel carb. Now I am a little bid in trouble because of an oil leak at clutch area and water leak at timing cover area on the engine.? My carb also seems to need overhaul or replacement! I wanted to buy parts in the states but I do not find them for the 287 Pontiac engine , like rear crank ( main) shaft seal and timing cover gaskets, intake manifold and carburetor. Does anybody know which early pontiac engine parts are interchangeable ? As far as I know there are 317,347,370,389,326........engines , but I do not know which of these engines have the same gaskets and seals. If anybody could help me it would be great! Thanks in advance for any feedback and help. RockAuto shows that engine for a 1955 GMC truck (actually, they call it a 288). Parts appear to be readily available. 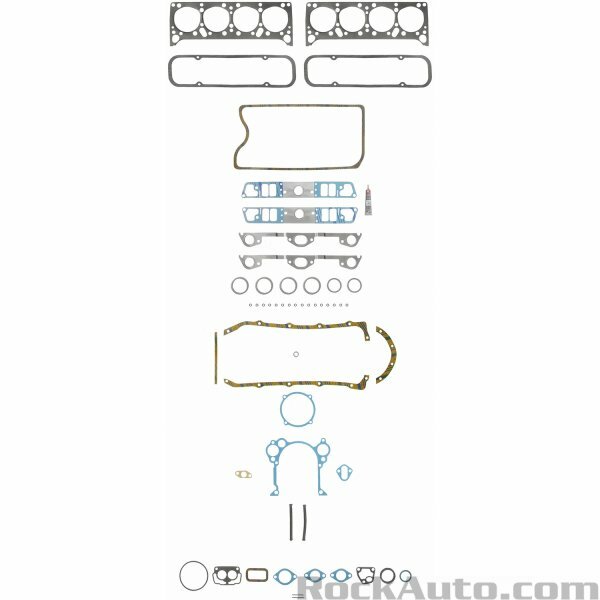 FelPro gasket set FS7729S1 should have everything you need. I'll add that the original carb on that truck was a 2bbl. The original 2-barrel used on the GMC 287 is very difficult to find, and very expensive; however, rebuilding kits are readily available. The carburetor should be a Stromberg type WW, and the identification number will be stamped (NOT a raised number, but a stamped recessed number) on the of the top casting in the area above where the fuel inlet enters the bowl. Should be in the format 23-???? where the four ? represent either a 3 digit number or a 3 digit number followed by a letter. And one of the most reputable parts vendors on our planet specializes in older Pontiac parts. The would be Kelsey Pontiac (Kurt Kelsey) located in Iowa Falls, Iowa. Thanks you all for all the information.? 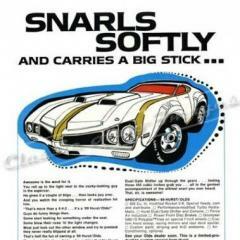 I did not find the rear crank ( main) shaft seal its also not included in the kit of rockauto. Thanks Jon , I have checked the number of the carb its written Bendix WW 23-106B and its a two barrel . The Carb seems to need overhaul or replacement. Every time when I shut down the engine and if I do not restart within the next 5 minutes it is bad starting up 2-3 hours. When the engine is cold again it starts perfect. I do not really know what the fault is but for me it seems to be the carb. Which carb could I use for replacement? That engine uses a rope seal at the rear of the crank. It's the two rope-like pieces in the second line up from the bottom in that photo of the gasket set. Giorgio - I do not know the quality of fuel you can buy in Germany, but this is a COMMON issue here in the USA. Try changing the method of starting the engine when the engine is hot. (1) DO NOT EVEN LOOK AT THE FOOTFEED, LET ALONE THINKING ABOUT TOUCHING IT!!! (2) Do NOT activate the choke! (4) After 3 to 7 seconds (each engine has a "sweet spot" and you will have to experiment to find yours, WHILE STILL CRANKING the engine, GENTLY press the footfeed down approximately 1/4 of the way. (5) The engine should start, and run rough. Hold a high idle (approximately 1500 RPM) for about 15 seconds. (6) You now should be good to go. Only use this method on a hot engine from maybe 2 minutes to 2 hours after shutdown. The rest of the time, use your normal starting procedure. The carburetor you have is one of the very best two-barrel carburetors ever built, at any price, at any time, anywhere in the world. DON'T REPLACE IT! If you ignore the above and replace it, DON'T TURN IN THE OLD ONE! That part number is exceptionally rare and desirable to some of the numbers-matching folks, and is worth big money! Thanks a lot Jon , i will not change my carb and try to start next time with your method. Now we got bad weather here with storms and rain , so it will take a while before i can drive. The two ropes for the rear main seal? I thought it is normaly a seal ring or two rubber half seals. Does anybody knows which size/ dimensions, that I am able to check if i could by german seals? Yes, rope seals were typical on US engines of that period. A Pontiac specialist MIGHT be able to tell you if a newer rubber split seal can be retrofitted. A one-piece ring is not possible since it would have to fit over the crank flange. Interesting to see such praise Jon, just for my own curiosity what was the OEM application for that carb? Todd - it is the original for the GMC Pontiac engine. 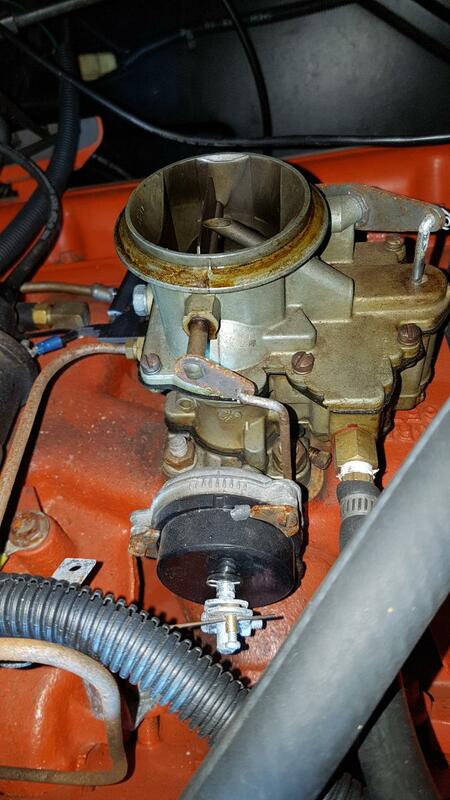 Other than most parts for it are available mail order only (and they ARE AVAILABLE mail order), the only real issue with the carb is the aluminum throttle body. It wears, and after a 100k or so miles needs bushing. Any competent carburetor rebuilder will automatically bush them making them near bullet-proof for another 200k or more miles. Stromberg WW carbs similar to that were used on Chrysler products (318s mostly) in the mid 60s. Terrific carbs. Decades ago I ran one up close to 400k miles, just kitting it now and then. I did have the throttle shaft rebushed at about 250k. 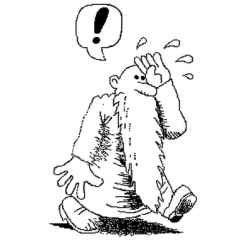 It could have used rebushing earlier. 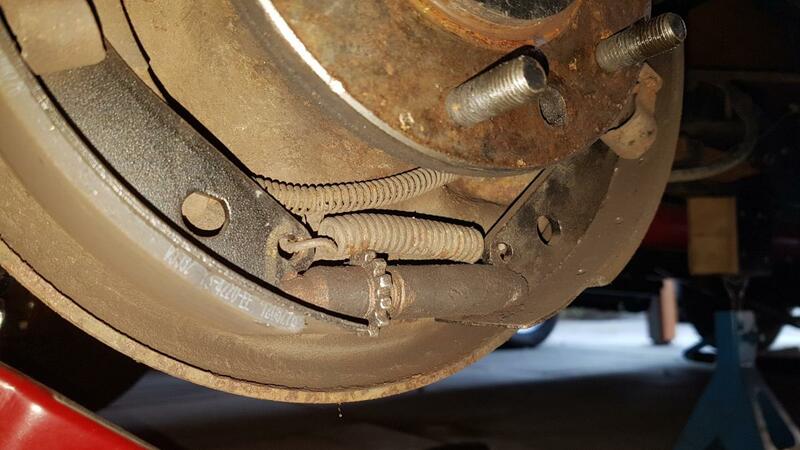 I received my 1955 GMC rear brake new hardware kit yesterday but the the springs won’t fit again , it the second kit I bought that won’t fit. I thought I got the original 11” rear drum brake but I do not know why it won’t fit. 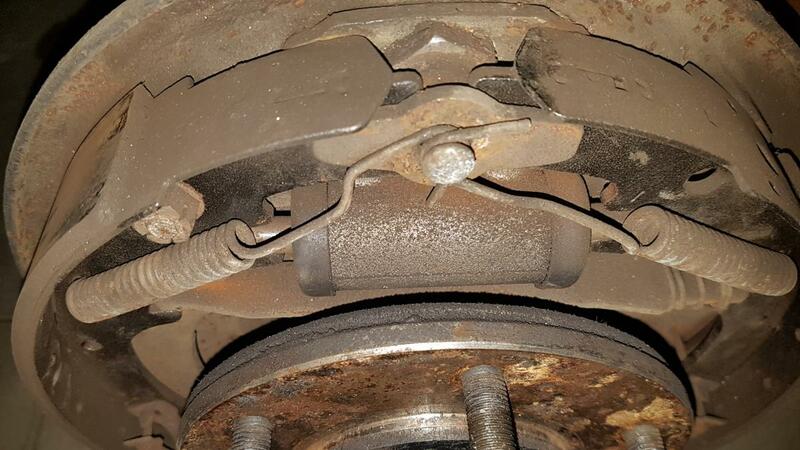 I need them because after a while of driving and brakes the brake shoes are chafing and the drum begins to get hot . I disassembled the whole brake checked the master cylinder and all other hardware parts but found nothing. After reinstallation the problem continued. For me it seems that the springs are old a little bid weak and when the brake starts to get warm the springs are not able to pull the shoes close. I attached a picture , could anybody tell me if this is an original 11” drum brake ? Has this truck sat for a while, out of use? I think the problem is in the wheel cylinder, not the springs. Brake fluid absorbs moisture. The pistons in the wheel cylinder are aluminium and the cylinder is steel (or stainless steel or brass if it has been sleeved). Galvanic corrosion of the pistons is probably occurring. The corrosion oxides cause the pistons to stick. The springs are not strong enough to overcome the binding in the cylinde r so they stick in the brakes-applied position. They will probably start to leak if you just push them back in and carry on. Solution: clean them out. Remove the corrosion. If there is any pitting in the cylinder, repair it (usually, a sleeve is fitted) or replace the cylinder. New rubber cups are cheap. And replace all the brake fluid in the system i.e. Bleed the brakes. Start at the most distant wheel from the master cylinder, finish at the closest. Yes sat a while at the seller but garage kept. I will try both I think , new hardware and new braking cylinders. Wouldn't hurt to do a good clean up on the master cylinder as well. They will sometimes not release fully if dirty. You will probably find all the wheel cylinders are in need of a clean-up. Garage kept helps, but there is still humidity in the air. FYI - brake return springs are tested two ways. 1. hold a removed spring up to the light. You should not be able to see light between the coils. The coils should be touching firmly. 2. drop it on the floor. A good spring will give off a dull thud. A bad spring will give off a 'ringing' sound. Again this happens when it is stretched and the coils dont touch. I too agree that a non-return problem is almost always hydraulic and not mechanical. I too agree that a non-return problem is almost always hydraulic and not mecha﻿nical. I agree, my Pontiac's mechanical "Midland Steeldraulic" original brake pull back springs after 88 years and 500,000 miles still work fine. It was a sunny day and I tried the starting procedure after the engine stayed for an hour and it worked perfect. Ok I will clean the braking cylinders and see if the problem is gone. JBP told me that the BOP gaskets( both 3" and 3.25") won't fit on my 287 Pontiac engine. Does anyone knows which size this seal should have? In Germany I could ask some suppliers if I have the correct size of the two halfs. Giorgio, the 3" main bearing fits Pontiac engines of 195" Four cylinder ( half of a 389 V-8) 336" 326" 389" 400" engines. The 3.25 main bearing is the 421" 428" and the 455" engines. As far as I can tell there is no Viton seals for the 2.50" main bearing 287" and 316.6" or the 2.623" main bearing for the 347" and 370" engines. I understand you can install and then cut/trim to fit a 3" Pontiac rope seal. The reason the Viton seal was developed for Pontiac was because the "new" rope seals are much to be desired. The old rope seals had impregnated materials like asbestos that the government banned so the new seals are apt to weep, leak much faster than the old type.